Lockheed Martin has built a scaled-down version of the U.S. Air Force’s next-generation space surveillance system in New Jersey. Credit: Lockheed Martin. 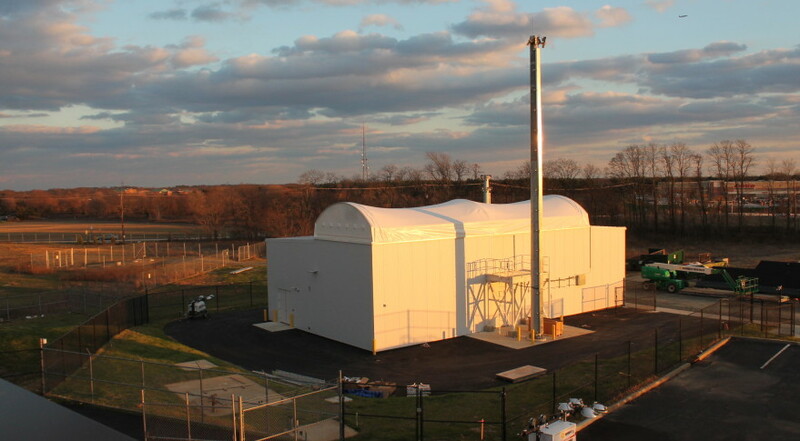 WASHINGTON – Lockheed Martin has built a scaled-down version of the U.S. Air Force’s next-generation space surveillance system in New Jersey as a way to test hardware and software for the Space Fence, the company announced March 28. Lockheed Martin won a $914 million contract in June 2014 to build the Space Fence, an S-band radar which will be capable of tracking about five times as many objects — including much smaller objects — than current U.S. space surveillance assets can track. Lockheed will be installing the full-scale Space Fence radar on Kwajalein Atoll in the Marshall Islands. The company built a demonstration unit while it was bidding for the contract in 2013 but Lockheed Martin officials said the new test site in New Jersey was significantly larger. The site tracked its first satellite on Jan. 30, the company said in a release. The test site will provide early lessons learned on the installation and maintenance of the radar, a March 28 press release said. Lockheed Martin plans to spend much of this year building the Space Fence on a six-acre site. The Air Force asked for $168 million for the program as part of its 2017 budget request. The program is expected to cost about $1.6 billion and reach initial operational capability in 2018.